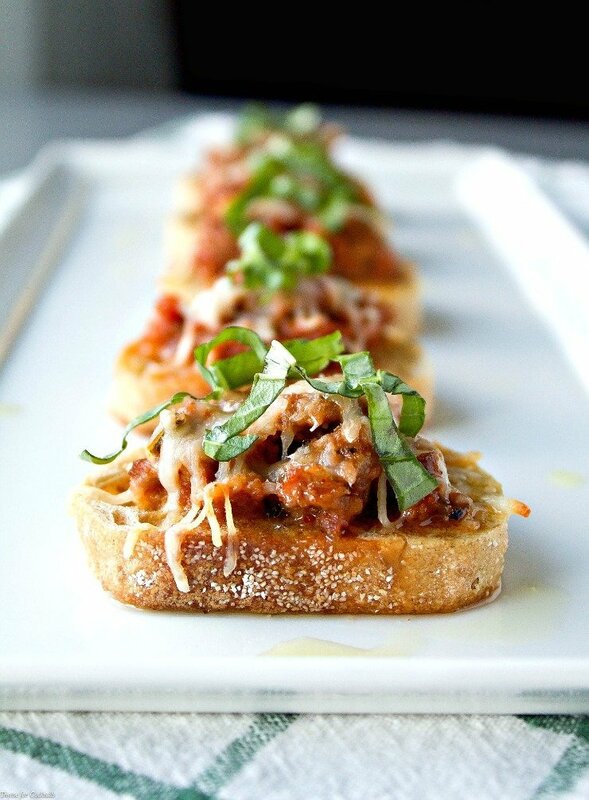 Spicy Italian Sausage Crostini are a great way to bring a little bit of Tuscany to your table. 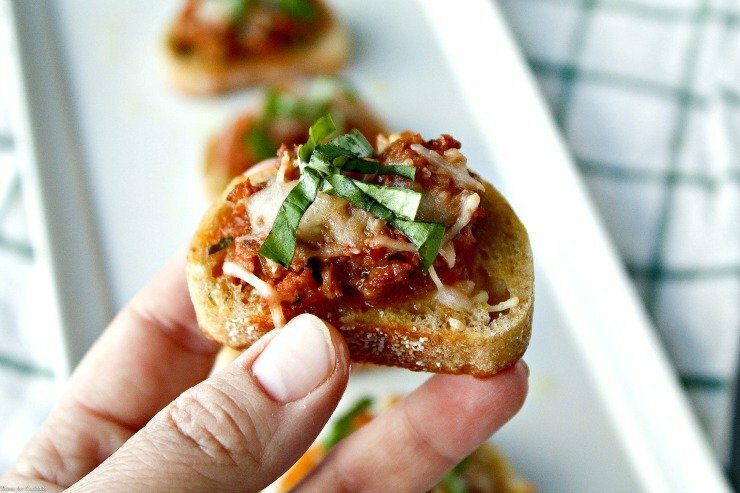 Pair with your favorite wine for a fun, delicious appetizer your guests with love. A few of the girls and I recently had a little hangout session to catch up after the busy holiday season; no kids, men or drama allowed! It was the perfect way to relax a little, sip wine and enjoy snacks in relative peace and quiet. I like my guests to feel like I went all out for them, but that doesn’t necessarily mean I want to invest a lot of time on food for every single chat session. 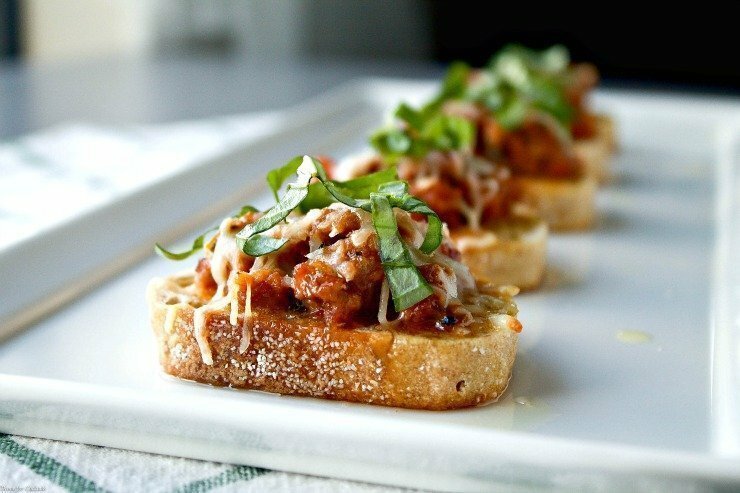 Easy crostini recipes like this are the perfect way to get a ton of flavor without spending all afternoon in the casa kitchen. 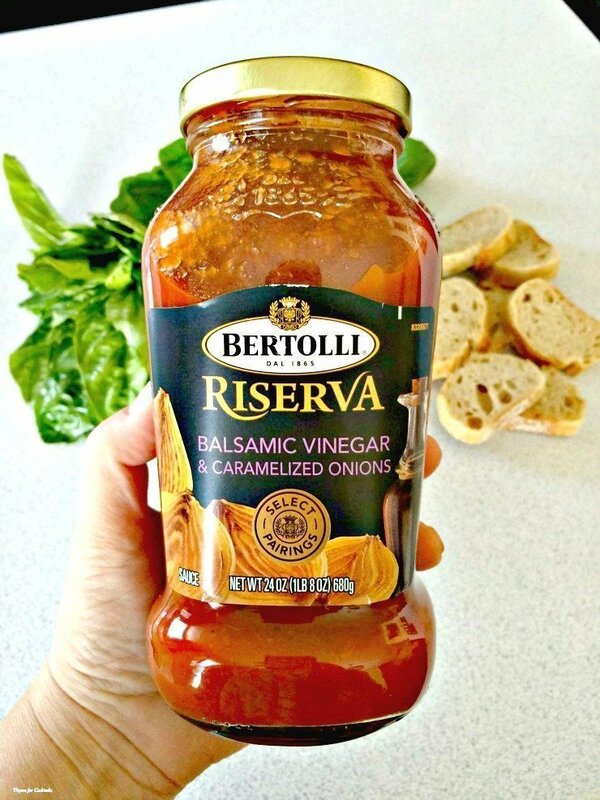 Bertolli® Riserva Balsamic Vinegar & Caramelized Onions sauce was a great compliment to the spicy Italian sausage. The girls really liked the rich, slightly sweet flavor. Bertolli, the first exporter of olive oil, has been making quality Italian products for the last 150 years. From its beginnings in olive oil, Bertolli today has grown to also include a broad range of Italian-inspired pasta sauce and skillet meals. 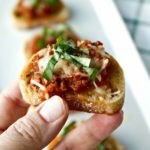 Fresh basil, a little cheese and homemade roasted garlic olive oil finished off these Spicy Italian Sausage Crostini perfectly. Late next week I am sharing a tutorial on how to make your own infused oils. It is so easy to do, plus you can get really creative with your flavor combos. The girls are great when it comes to recipe brainstorming because they know I will need tasted testers! Place bread slices on a large baking sheet, set aside. Add sausage and peppers to a large skillet. Cook over medium heat until browned. Drain off excess fat. Stir sauce toin meat. Adjust amount of sauce used based on personal preference. 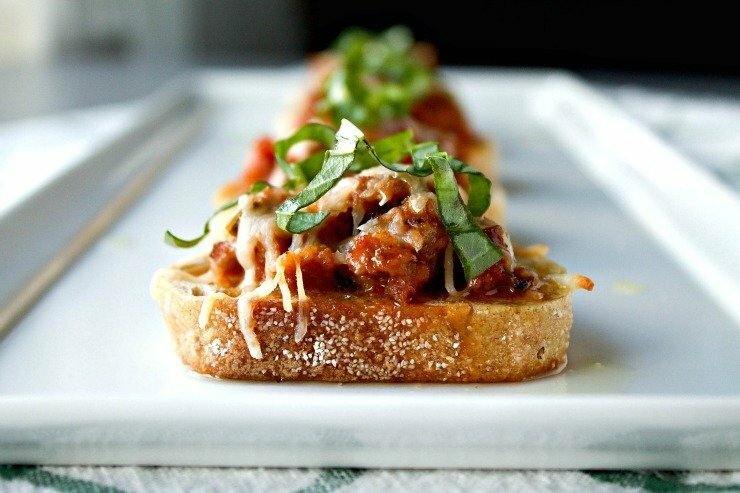 Spoon a small amount of meat mixture onto each bread slice. Sprinkle with cheese. Bake 8-10 minutes until toasted. Sprinkle with basil and drizzle with garlic oil. Serve hot.